Until the invention of state-of-the-art CAD systems, converting any existing engineering drawing into handy presentations was truly a herculean task for mechanical product designers and engineers. However, with the introduction of highly advanced and interactive CAD software, today, converting large amount of scanned images into easy-to-understand and realistic 3D intuitive models has become easier. For any organization with an extensive database of CAD data the need for CAD migration (the process of making that data compatible with other CAD platforms), will eventually arise. 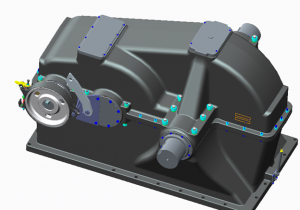 TOI specializes in proficient, intuitive CAD data conversion. We combine high-caliber engineering talent, customized specifications, secure data environments, and a global infrastructure to provide best-in-class solutions. TOI has its specialty in Legacy Drawing Conversion for more than a few reasons. We could transfer your conventional engineering landscaping and other elements such as the, technical drawings, archive drawings, schematic diagrams and other types of line artwork from raster to different CAD formats in no time and with the highest care. TOI has its specialization in Legacy Drawing Conversion, AutoCAD drafting, mechanical drafting and 2D drafting. Our team of highly experienced CAD conversion specialists can convert legacy drawings in rush time/overnight.